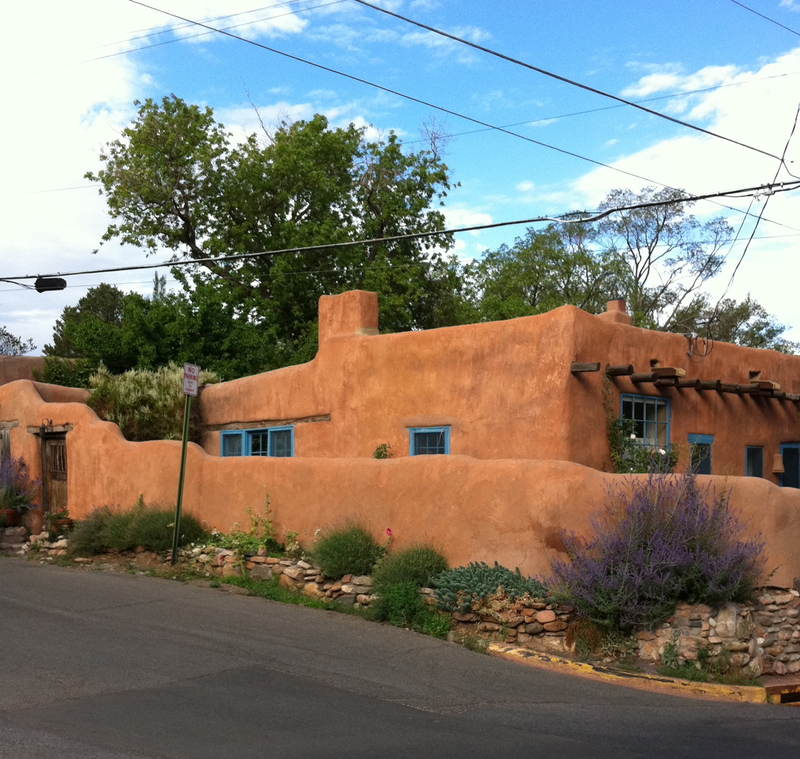 It's been many years since I first visited Santa Fe so I was delighted when Elliott signed up for a conference this August. I feared it would be hot but actually it was monsoon season which meant that every afternoon and early evening there were spectacular cloud formations and cooling storms. 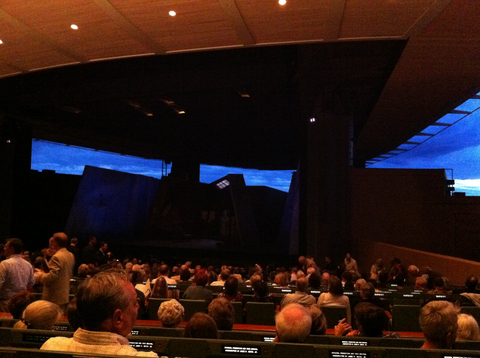 August is also the Santa Fe opera season and we had the pleasure of attending La Bohème. The theater is outdoors but we were protected from the rain by a roof. The lightening and thunder magically seemed timed to the performance. I took this picture moments before the announcement "no photos allowed"! Santa Fe is second only to New York City for the most number of art galleries but they are more concentrated in a smaller area so it truly seemed like a city of art and crafts. I walked up and down Canyon Road many times mostly viewing the sculptures from the outside but one in particular so struck my fancy I was tempted to enter the gallery as well. 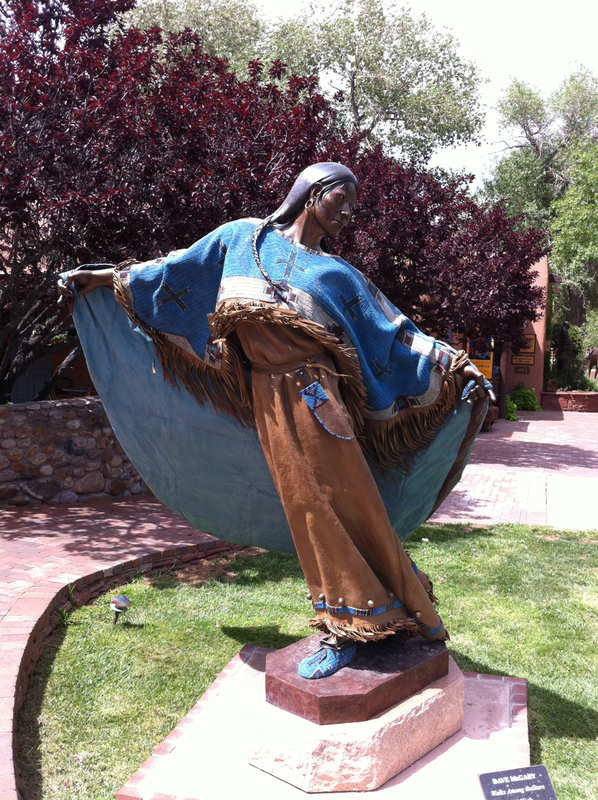 This statue, outside the Meyer Gallery, is called Walks Among the Stars by Dave McGary. It weighs almost two tons and sells for $134,000. I tried to imagine it in our garden in Hope, N.J. Many of the houses and shops and landscaping lining Canyon Road were works of art in themselves. 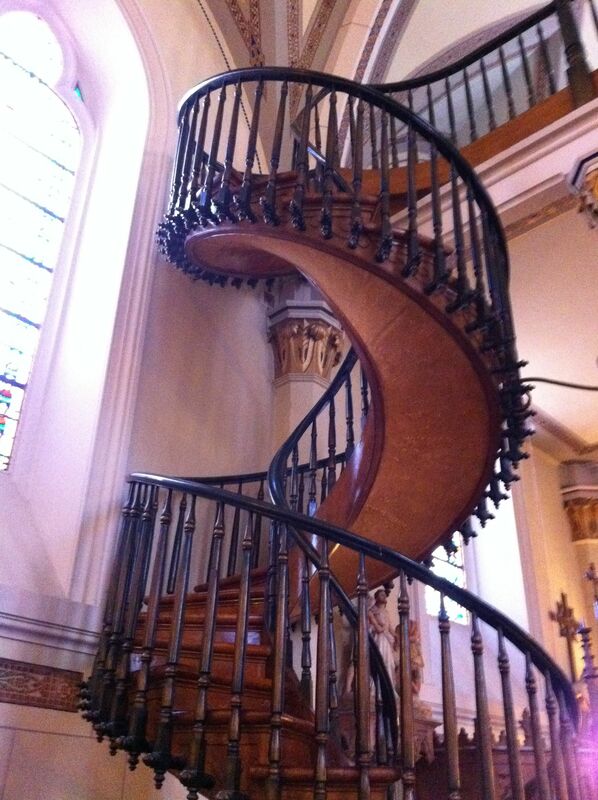 We visited Loretto Chapel as I had heard about its Miraculous Staircase built entirely without nails. 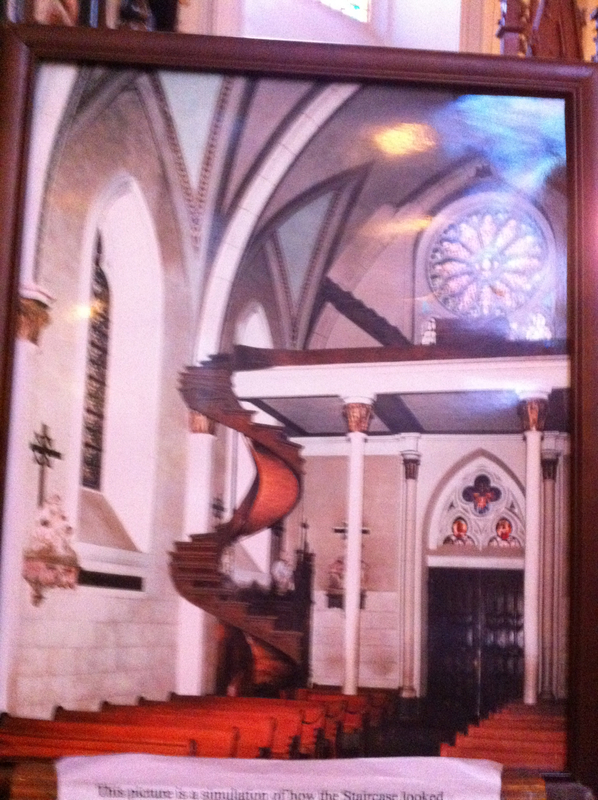 I also took this slightly out of focus picture of a picture showing the original staircase without a bannister. The nuns found it to be too dangerous and requested the bannister but the original looked more like a stairway to heaven! 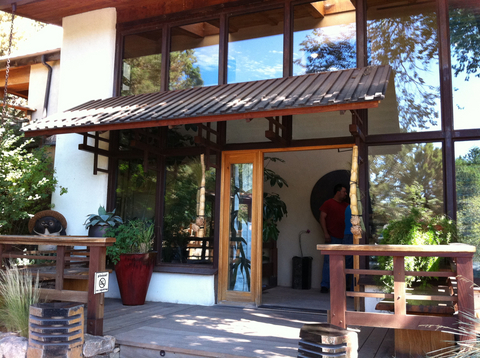 My last day of the trip, I took a taxi up the mountain to a very special and magical place called Ten Thousand Waves. 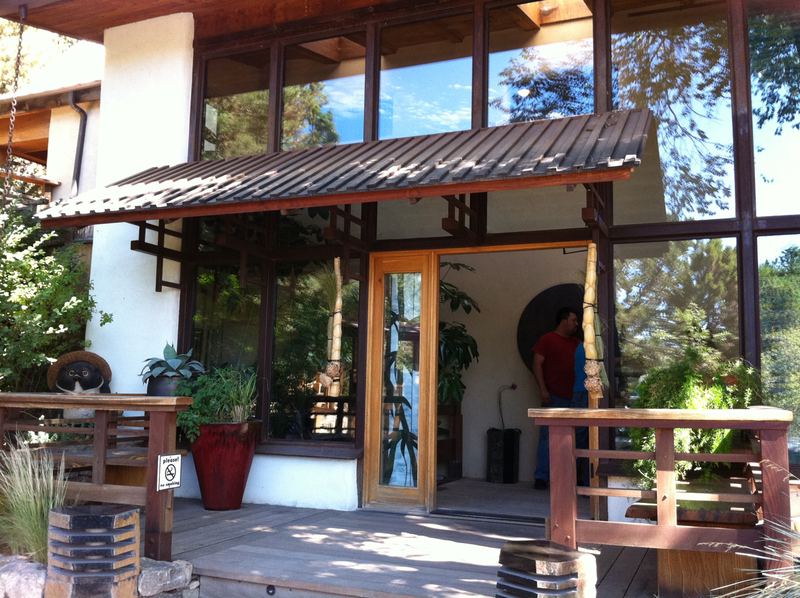 My cousin Joan, who lives in Berkley Ca., told me to be sure and have a massage there. Although La Posada, where we were staying had a lovely spa, I took Joan's advice and had one of the best massages of my life. 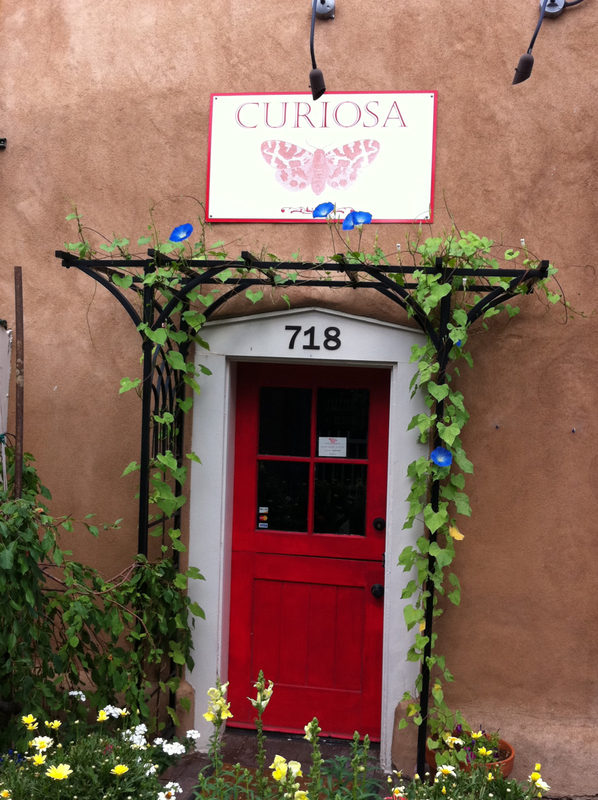 The meals that we enjoyed during our five days in Santa Fe were so spectacular I am devoting the next posting entirely to them.